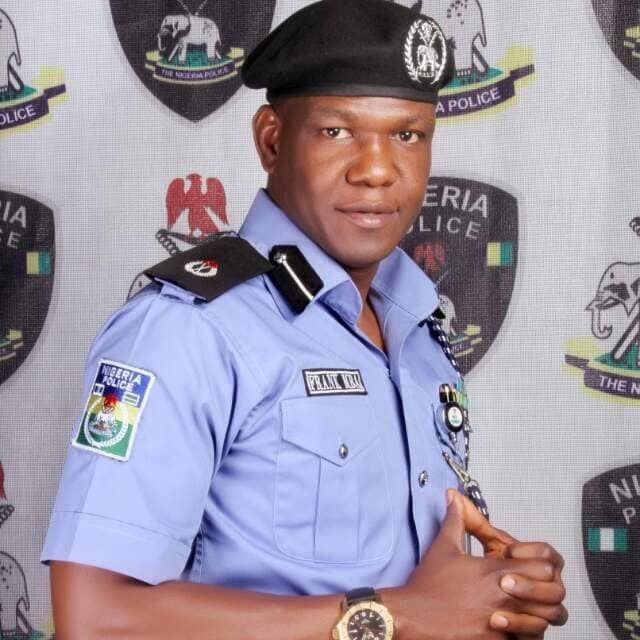 Mr Frank Mba, an Assistant Commissioner of Police (ACP), has been appointed as the new spokesman of the Nigeria Police Force (NPF) with immediate effect. Mr Mba, a lawyer and intelligent police officer, was a former spokesman of the Lagos Command of the NPF, where he performed excellently well. His appointment as the Police Public Relations Officer (PPRO) was confirmed in a statement issued by the Deputy Force Public Relations Officer, CSP Aremu Adeniran. It was disclosed that the Acting Inspector General of Police, Mr Abubakar Adamu Mohammed, asked Mr Mba to take over the position from Mr Moshood Jimoh, an acting Deputy Commissioner of Police, who has been redeployed to other national assignment. Until his appointment, Mr Mba was working at the Special Fraud Unit (SFU), Ikoyi- Lagos. He is an alumnus of the University of Lagos where he studied Law. He also has a Masters Degree in Law from the University of Dundee, Scotland- United Kingdom. A product of the Nigeria Police Academy, Kano where he had his initial police trainings, Mr Mba is a graduate of the prestigious FBI National Academy, Quantico- USA and holds a Certificate in National and International Security from the Harvard University, USA. Mr Mba is an experienced communicator and image maker and he has been charged by the new IGP to bring his wealth of experience to bear in revamping the image of the Force, improving the relationship between the citizens and the police, bridging existing communication gap between the police and its stakeholders, and assisting the IGP in realizing his mission and vision for the Force and the nation. A passionate and versatile police officer who has worked in multiple police units and departments across the country, Mr Mba has attended some of the finest law enforcement trainings, both within and outside Nigeria. These include Countering Violent Extremism and Police Leadership Course at the International Law Enforcement Academy (ILEA), Roswell, New Mexico, USA (2018); Strategic Leadership and Command Course, Police Staff College, Jos (2017); Crisis and Disaster Management Course, Israel (2013); Managing the Media in Crisis Situations, School of Media and Communications, Pan Atlantic University, Lagos (2013); US-sponsored International Visitor Leadership Program, with special focus on International Crime Issues, Washington DC (2010); General Criminal Investigation Course at the International Law Enforcement Academy (ILEA), Botswana (2009); Middle Management Course on Global Peace Operations in Vicenza, Italy (2008); amongst others. He was a member of the Nigeria Police Contingent to the United Nations Peace-Keeping Mission in Liberia between 2006 and 2007, where he distinguished himself through a combination of hard work, professionalism, and discipline, thereby earning himself the prestigious UN Medal.